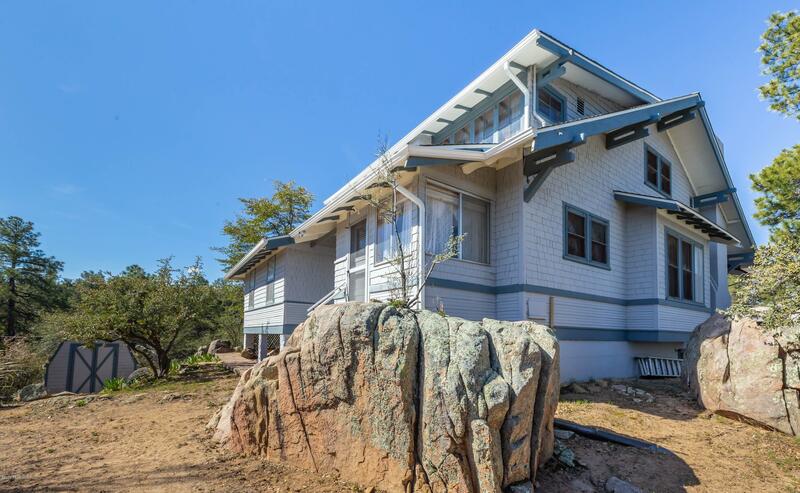 All Heritage Hill homes currently listed for sale in Prescott as of 04/22/2019 are shown below. You can change the search criteria at any time by pressing the 'Change Search' button below. "Unique opportunity to own a piece of Prescott History! Built by Naval Captain Updegraff, this Redwood Shingle house was built in 1933 and has original features throughout: Boasting 5-panel Redwood Doors, Floors, and Millwork, this 5-bedroom, 3 bath historic property sits on a hill with spectacular views of Granite Mountain and Prescott, yet is a short distance to the Courthouse Plaza and Historic Whiskey Row, schools, and charming shops. Unique features include a lovelyporch with swing, multi-wi"